The last two years have been an outstanding success for Best Practice Network. There are now well established and fast growing networks in Melbourne, Sydney and Brisbane boasting approaching 100 member companies, presenting over 60 events per year and making hundreds of invaluable peer to peer networking connections across industry. Our major national members have highlighted the need for their Western Australian counterparts to be offered the opportunity to participate in the Best Practice Network. 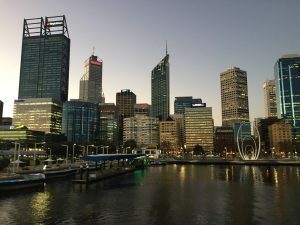 As a result, we are pleased to announce the launch of our new business network in Western Australia. We already have four confirmed events, the first to be hosted on 14 June by CSR Viridian in Perth. Rick Terpstra will outline the National CSR Manufacturing and Maintenance WAY – a key part of their business improvement journey over the past 10 years. Rick did an outstanding talk at the Best Practice Network Operational Excellence Summit in Sydney in February and his recent event at CSR Viridian in Melbourne was fully booked with over 40 network members filling the room to learn more about the highly successful CSR Way. Asahi (formerly Schweppes) Beverages in Welshpool on 25 July where the Asahi team will show off their excellent Lean systems based on Asahi’s unique operational excellence system (OES). Kmart Distribution in Jandakot on 22 August. This is a brand new facility for Kmart and is setting the benchmark for distribution centre operations around Australia. A great chance to see one of Australia’s most efficient supply chains in action. Australian Submarine Corporation in Henderson in September will provide a chance to learn how Lean Thinking has helped dramatically improve the availability of Australia’s fleet of Collins Class Submarines. We are also pleased to announce that US Lean Expert and specialist on Shop Floor (Gemba) coaching, Michael Bremer will run a workshop in Perth as part of his national Best Practice Network tour in November. We expect to announce more events over the next few months. Visit the Best Practice Network website and subscribe to our mailing list to stay up to date. Best Practice Network provides you and your business an unparallelled opportunity to learn and find better ways to improve. This extends beyond the regular events to creating peer to peer and business to business connections that are of immense value to members. As well, as a member, you will have the opportunity to attend our national Operational Excellence Summit, attend training and see leading international speakers for free or heavily discounted rates.